A holiday to the West Coast of America will not disappoint you. It will however make you want to come back for more! It is truly awesome and has so many places for you to discover. 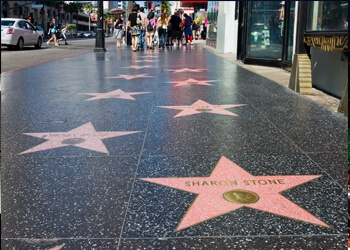 From the Grand Canyon and the Vegas Strip to the Streets of San Francisco and the Golden Gate Bridge, to the bright lights of LA and it's Hollywood Boulevard and Beverley Hills, there is just so much to see and do! There are miles and miles of beautiful beaches, incredible wineries and restaurants, shopping to die for and more. If it is an active holiday you are looking for there are amazing national parks with great hiking and biking trails, there are of course the Universal and Disney hotspots with their electrifying rides as well as surfing and beach volleyball to top it all off. Whether you are a family, a couple or single this part of the States fits all. Viva Las Vegas! Las Vegas is a must on any West Coast Holiday of America. With so much to see and do, you will have fun packed days and nights in this iconic city. Why not start off your holiday in Las Vegas! While here, a trip to the Grand Canyon is a must! With many day and overnight trips on offer, the Grand Canyon needs to be on your bucket list. Take in the beauty and history it has to offer and one things for sure, it will certainly inspire you. You can explore the Grand Canyon on foot, in a hot air balloon, helicopter, and/or by boat. If you are travelling to Las Vegas it would be a shame to miss this incredible Wonder of the World. A walk down the famous Las Vegas strip taking in all the lights, action and casinos is definitely a must. Las Vegas attracts so many top end entertainers so taking in a show would really be worthwhile. Of course there are the casinos, and restaurants and bars but it’s the size of the hotels that will amaze you with great swimming pools, shopping malls and gyms you certainly will not be bored. Whether you decide to drive, fly or take a bus to Los Angeles from Las Vegas is entirely up to you but driving in the States is so easy and you can take in the magnificent scenery at your own pace. Los Angeles really rocks. You will find yourself constantly trying to Star Spot and taking a drive through Beverly Hills will make you feel like a star. With great beaches at your fingertips, wineries not too far away and the buzz of Los Angeles you will find it hard to leave. The big parks are all there so a day or two mixing with all that entertains us on our screens is definitely worthwhile. Disneyland has over 60 attractions including the Indiana Jones Adventure, Space Mountain and of course you can meet Mickey Mouse himself here! Universal Studios Hollywood on the other hand immerses you in the ultimate Hollywood movie experience. You can go behind the scenes and see how the movies are made or just head straight for the rides where you will be left pumped up for the day. With Las Vegas and Los Angeles behind you it may be time to kick back and enjoy some down time on you holiday. What better way than to head north on Highway 1 and discover the fruits of nature that California has to offer you. You will have surfers to your left and grapes to your right but whichever way you look you will be left pleasantly happy. 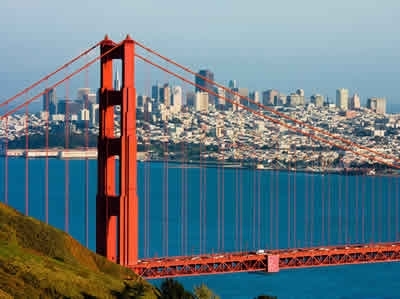 San Francisco is a really relaxed place with plenty to do at a chilled out pace. This West Coast city is very cultural and arty and it has loads of exciting neighborhoods for you to explore while there. If you like cycling you will feel right at home as this city is home to the most bicycles in the States. If that seems too much for you the trolleys are easy to manage and you can hop on and off wherever you wish. You will discover such a variety of shops and restaurants here as San Francisco embraces all and caters for all. Don’t forget to do a day trip to Alcatraz and of course finish your holiday off with some good old American shopping! Here at Tour America we tailor make all of our multi centre holidays to suit our clients needs and budgets. If you are planning on taking in some of the best cities in the West of America give us a call today on 01-8173535.